Fine tuning the control and efficiency of complicated parallel rack systems, allowing inteface with existing building automation systems, and providing remote communication and control of your refrigeration system, are just a few of the benefits of the KE2 Evap-RE. Now, with the second generation KE2 Evap-RE2 available, KE2 Therm has added a whole new set of advanced capabilities, including the ability to link with three optional Auxiliary Relay Boards. 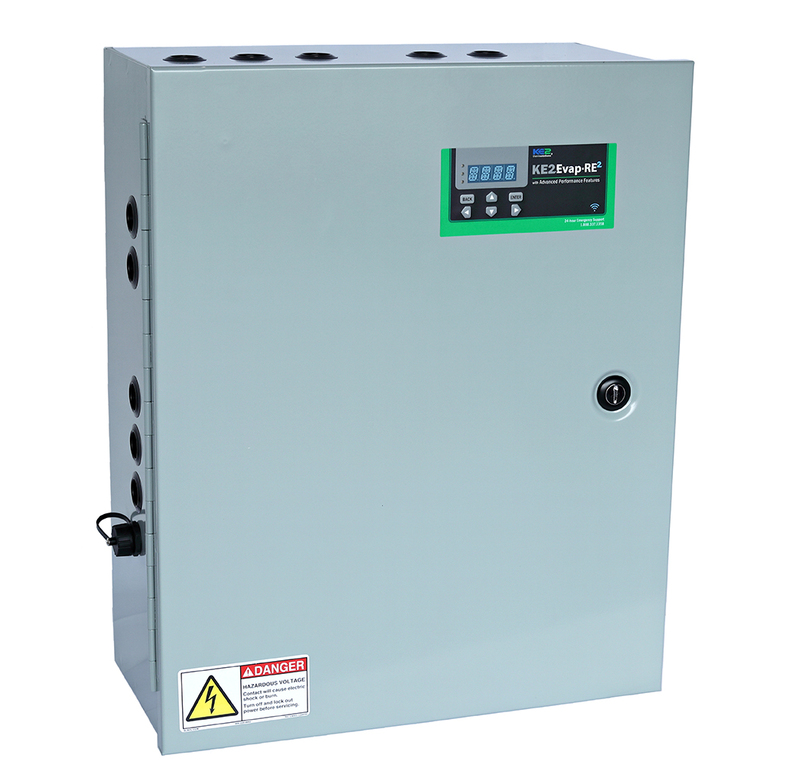 The optional auxiliary boards configure to control as Superheat/EEV in standard or rack applications, Pressure/EEPR in rack applications or Temperature/EEPR in rack applications. And, because the KE2-Evap RE2 is integrated into a control panel, on-site wiring of controller related components is simplified. Plus the contractor panel provides consistent setup across multi-store locations, making return service visits more productive, and reducing installation time, and system downtime.